The letterpress community is thriving all over Europe. 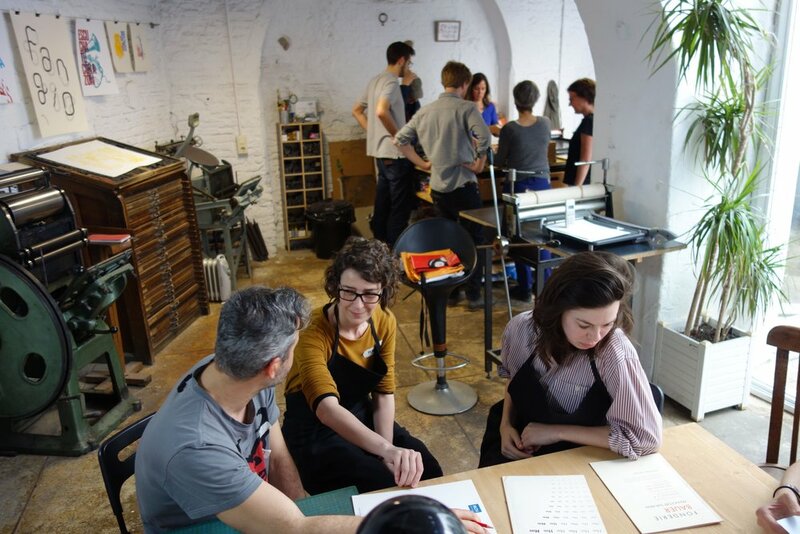 Occassionally, Letterpress Amsterdam joins forces with other printers abroad to host courses. Join us for a field trip, experience printing workshops in other countries and with an international community of letterpress lovers. The workshop takes place at Project Letter-Kunde in Antwerp (Belgium). Under the guidance of Thomas Gravemaker and Armina Ghazaryan you’ll be exploring the vast collection of type and presses.